It’s Simple. Excuses Don’t Burn Fat. 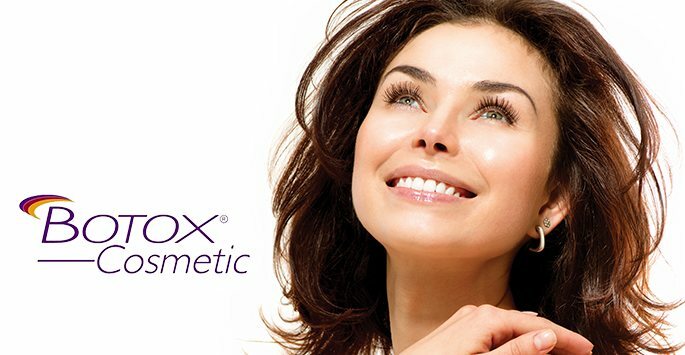 BOTOX Cosmetic is an injectable used in the treatment of fine lines and wrinkles. BOTOX temporarily smooths lines by reducing muscle activity. Areas most commonly treated include frown lines between the brows, forehead, and crow’s feet. Results appear within a few days after treatment and can last up to 3 or more months. In any face-to-face encounter, words alone do not tell the whole story. More often, our facial expressions send a stronger message. If you’ve found that frown lines, forehead creases or other facial-expression lines are preventing you from looking as good as you feel, BOTOX injections may be a good option for you. The best candidates for BOTOX injections are image conscious men and women of adult age who are concerned about vertical wrinkles between the eyebrows, horizontal forehead lines, or “crow’s feet” near the eyes. BOTOX works to eliminate wrinkles that are caused, not by aging or sun exposure, but by years of facial movement, such as laughing, smiling, or frowning. HOW WILL I LEARN ABOUT THE SAFETY OF BOTOX INJECTIONS? BOTOX has a 20-year record of safe and effective use. However, it is important for you to be informed of the risks as well as the benefits. Be sure to discuss possible complications with your surgeon. By carefully following your surgeon’s advice and instructions, both before and after surgery, you can do your part to minimize some of the risks. WHAT SHOULD I KNOW ABOUT MY RESULTS? Treatment with BOTOX in the affected area cause the underlying muscles to relax, giving the skin a smoother, more refreshed appearance. Within days of the treatment, you’ll see marked improvement and the results should last for 3 to 5 months.